Tenuta Cavalier Pepe is located in the region of Campania where there are 21 D.O.C areas and 3 D.O.C.G’s. Pepe’s Nestor is a Greco Di Tufo that is “Textbook” Greco. The Greco di Tufo D.O.C.G vine was cultivated before Rome was founded and has found its best expression on the volcanic hills of the Tufo countryside area. In Homeric poems Nestor is described as a hero of extraordinary physical strength who liked to indulge himself in drinking this nectar. The chalice from which only he drank bore the following inscription: “I am Nestor’s cup it is good to drink from. Whoever drinks from this cup will be seized by desire for Aphrodite with the beautiful crown”. Enough poetry, let me tell you about the 2011 Pepe Nestor I sampled. It displayed a beautiful straw yellow color and on the nose it was floral, and a hint of wet stones and fresh apples. On the palate, this is where the Volcanic Ash Soil comes into play! It was medium in body, fresh apples with a hint of peach and white flowers but on the finish my mid palate could sense this great tingling acidity and MINERALS I love this type of white wine and yet another example as why most Italians are bored with PINOT GRIGIO when they have history in a glass with such beauty as a Greco Di Tufo. I’ve said it before when it comes to Food Friendly, Crisp, White Wines loaded with Minerals, no one does it better than The Italians And Greeks (GRECO =GREEK..hmmmm)The Pepe Greco Di Tufo reminded me of my favorite GREEK varietal ASSYRTIKO from the Island Of Santorini The common bond: VOLCANIC SOIL! The tasting of the 2011 Pepe “Nestor” Greco di Tufo reminded me of a Greek Wine and Food Pairing that I was invited to a few years back at Danny Devitos ITALIAN restuarant “DEVITOS'” on South Beach in Miami, Florida. The Italian Chef was challenged to prepare dishes that would compliment the Greek Wines. 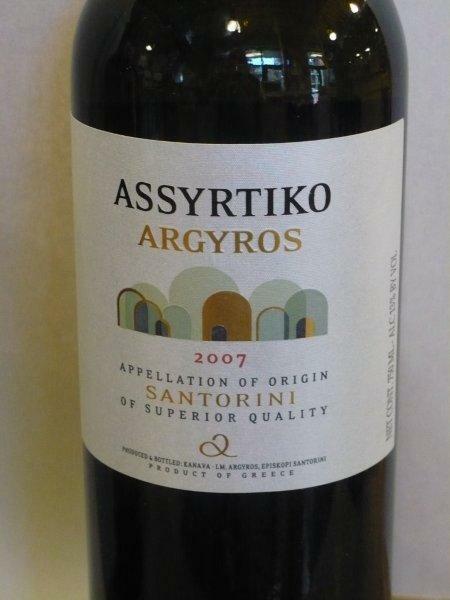 The Assyrtiko was paired with Fresh Hamachi (JAPANESE YELLOWTAIL) Sashimi with a hint of Jalapeno and a Citrus Soy Based Sauce known as PONZU. This pairing will never leave my memory bank. It was a Home Run! The Pepe Greco would be an awesome pairing with Shellfish, Light Salads, Chicken Picatta and Hummus. And Yes, I know Nestor says that after I drink Greco Di Tufo out of his cup I am supposed to have a strong desire for Aphrodite however after drinking this wine (Maybe it’s my age) I had a strong desire to bring this bottle to my local Japanese Raw Fish Place and order $100 worth of Freshly Sliced Fatty Fish like Hamachi (Yellow Tail), Toro (Tuna Belly) and Salmon. I urge you to seek out the 2011 Pepe “Nestor” Greco Di Tufo from Campania and try it with Sashimi. You will see, it’s all about the Volcanoes!! Campania is an underrated wine producing region of Italy. Reds produced here have power and elegance, and the whites are bright with deep reserves of sophisticated character. Never one note wines. It is good to see the region figure so prominently in you blog. Anarkos is sheer bliss in a bottle! PreviousThe Evidence is In On Zin!! NextStop Talking TURKEY And Talk THANKSGIVING! !